Redcurrant Soy Shake with berries from the garden! | Grow Your Own Veg Blog. Gardening and Food Blog. Redcurrant Soy Shake with berries from the garden! One of the nicest things to do in the Summer months is to wake up in the morning, race down to the fruit cages which lie at the end of our garden and forage for soft fruit for breakfast. This morning, I found there plump little redcurrants - ruby red and with a glossy outer skin, they were like precious gems awaiting discovery by treasure hunters. 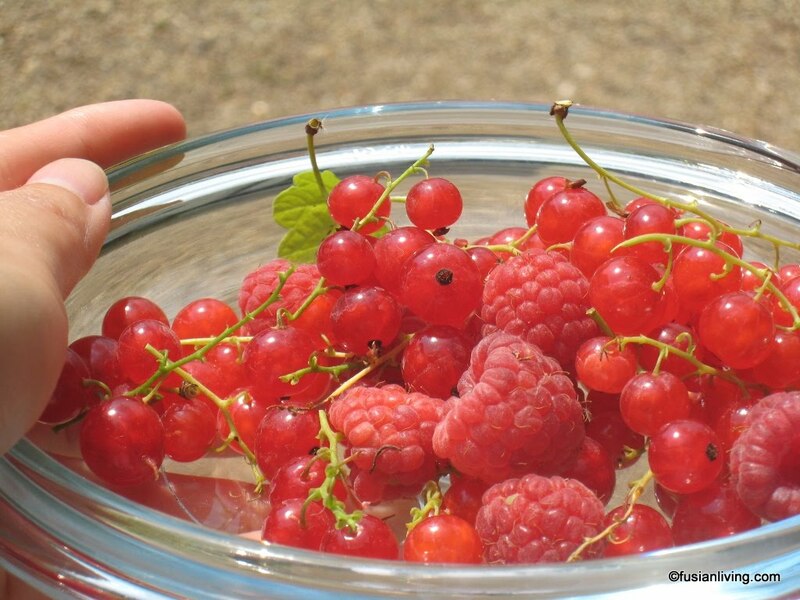 I also managed to beat our resident squirrels to a few stray raspberries that had escaped from the cages and had grown quite randomly around the garden. For good quality honey, you just can't beat Australian honey. I am using 'Blue Gum' Honey by John L. Guilfoyle which is deliciously sweet and gorgeously thick in consistency. This honey is courtesy of my mum and dad who regularly buy and store in their pantry, tub-loads of Guilfoyle honey of all varieties. 1. Place the redcurrants, honey and soy milk into a blender. Whizz. 2. Serve with a tiny bit of honey drizzled on top.